Today’s engineers are tasked with developing increasingly smaller devices – often with quick turnarounds – while maintaining the highest quality standards and keeping costs down. 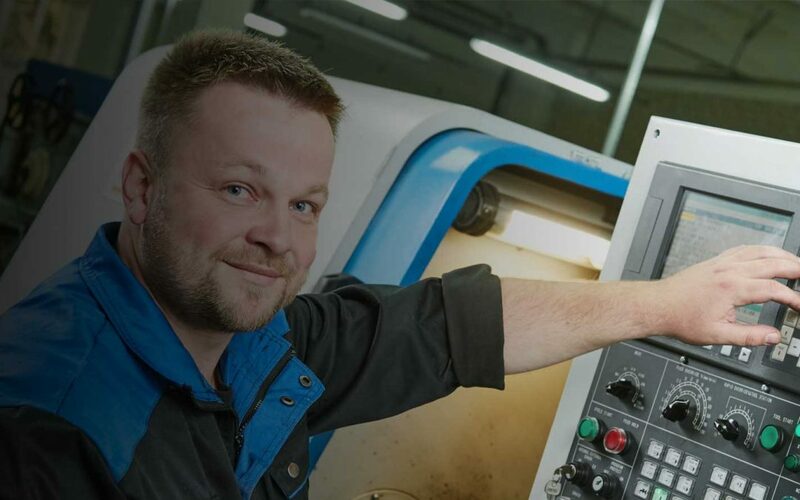 For these reasons, many engineers have found that partnering with a Swiss machine shop is the best way to get the tiny, high quality parts they need, quickly and at a fair price. Swiss machining began as a way to produce the highly-precise, long slender parts essential to the Swiss watchmaking industry. Today, a wide array of industries — from medical device to aerospace — rely on Swiss precision to produce the highly complex, tight-tolerance parts they demand. It allows material to slide through it, but is tight enough to keep the material from flexing away from the cutting tool. It keeps everything concentric with the support and synchronization of the collet and guide bushing. This guide bushing is what allows Swiss machines to create fine surface finishes and hold very tight tolerances of +/- .0001″. In contrast to traditional lathes, Swiss machines allow machinists to accurately engineer custom parts or prototypes. Swiss machines create the features of the part by moving the material and the tool at the same time. Swiss machines also have the ability to perform multiple operations on both the front and the back of the part. This allows parts to be dropped off the machine complete in one operation. Swiss machines have evolved by adding multiple machining axes as well as milling, drilling and threading capabilities to the standard turning process. This enables Swiss machines to manufacture both precise, and highly complex components. Many job shops have Swiss machines, but unless their machinists have deep expertise with Swiss, they may not have the capabilities to use these machines to their fullest potential. Veteran machinists and their apprentices, typically have the knowledge and experience to use Swiss machines to manufacture difficult materials and achieve the tightest tolerances.